In the age of discovery the Soldiers and sailors of the Spanish kingdoms were honed to a fighting spirit and martial culture to break the yoke of 800 years of Moorish dominance. These Iberians considered the best soldiers and sailors on the planet were scourge of the Americas-horse and steel, gunpowder and war dog, the Spanish tercio-the piss your pantaloons fighting square. Modern technology backed by fearless men equaled an unstoppable war machine. As one by one the new world cultures, cities and tribes fell before the onslaught of diseases and ferocity of the Iberians; very few Native American cultures were able to resist extinction or absorption, slavery and the lash of Christianity. The Apache residing on the fringe of empire survived through the sheer toughness of a people hardened by the harsh climate of the desert southwest. The natives of Panama who tipped arrows and darts with the poison from colorful tree frogs. Weapons so deadly that even the bravest of Spaniards could not defeat them. The Caribs: The Caribbean Sea was named for this fierce people. Practitioners of mobile warfare in their ocean going sea canoes; masters of the surprise attack and raid -The Carib people of the islands resisted the might of Spain for three hundred years only to be eventually absorbed into island populations of run away African slaves. The estuary we know today as the Indian River Lagoon was for two hundred years recorded on Spanish maps as the "Rio de Ais" and to be cast ashore shipwrecked on the Canaveral Cape was a sentence of death -for the very survival of the Ais people was at stake. Pronounced "Eeece" or "Ays" the Ais people who lived on what was to become Kennedy Space Center had been hardened by the pressure of powerful enemies long before the arrival of the Spanish with their steel and guns. 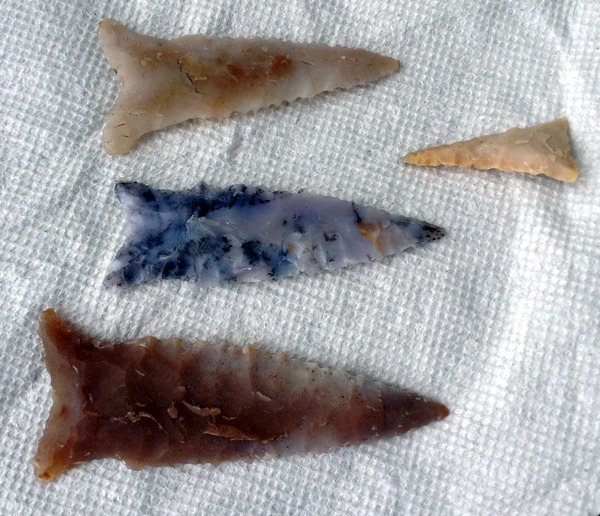 Ais Indian arrow points found along the Indian River Lagoon. The Ais were surrounded by powerful enemies. The Ais were surrounded on two sides by powerful Native American superpowers-enemies who sought to subjugate them. Consequently the arrival of the Iberians was the least of their concerns. To the north of the Rio de Ais were the powerful Timucua: Fourteen powerful tribal groups that controlled portions of southeast Georgia, north and central Florida. 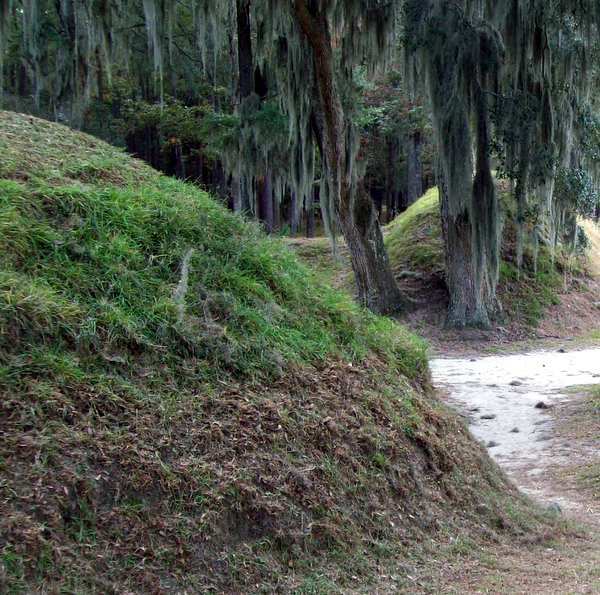 The Timucua renowned as powerful archers had suffered greatly facing the brunt of the invading army of Hernando de Soto- however that is another story. To the south of the Ais was the super power of the Calusa federation. Absolute rulers of south Florida. Of interest is that the Calusa language had some similarities to the dialects of Taino and Arawak Native American groups of the Caribbean, however this may represent island refugees fleeing from slave deprivations of the encroaching empire of Spain. Regardless the small tribal groups living upon the Rio de Ais were squeezed between the might of two super powers. With the Atlantic Ocean to their east and vast wetlands to west-retreat was often not an option. Faced with overwhelming odds cultures must capitulate or resist with all their might. A resistance that requires the mental fortitude and toughness that today is best represented by the culture of the American southwest known as the Apache. On the east coast of Florida the equivalent of the Apache were the Ais Indians who resisted Spanish colonization and conversion to Christianity for nearly two hundred years. Of note: the Caribs and Ais were to resist the might of Spain for twenty generations or more! "Laguna de Ais" and "Barr de Ais" (the reefs of Cape Canaveral) were words of terror to all Spanish sailors and passengers of the vaulted Spanish galleons-words that caused no less fear than the raiding Caribs of the Lesser Antilles. For most of the period of the Spanish empire of the new world; to be cast ashore on the east coast of Florida meant certain death. One 1605 expedition successfully mapped the Province of the Ais & recorded most of what we know today about these inhabitants of east Florida. Why did the efforts of missionaries and the military fail to pacify the Ais? Reasons are varied: The environment. 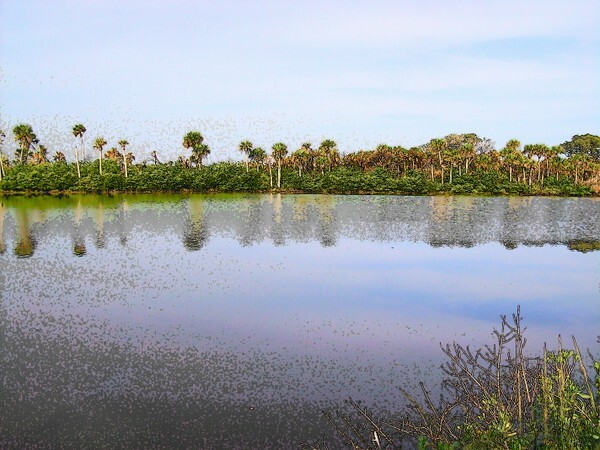 The Mosquito (east) coast of Florida was often a death sentence for Europeans who attempted to settle Florida . The European (Spanish) exploration of the Florida and Georgia coast was similar to the Spanish discovery of the Bahamas - Islands to be exploited and the inhabitants captured as slaves to be worked to death on Hispaniola. As early as 1500: Ships sailed from Cuba or Puerto Rico with the sole intention of enslaving anyone found on the Florida coast. For well known reasons these slave hunters had to avoid the powerful Calusa or Timucua areas and Spanish deprivations fell upon the weaker peoples of the coast-the Jeaga, the Tequesta, the Guale and attempts to capture the Ais of the Indian River Lagoon. Consequently almost the very first contact with Europeans was an act of aggression upon the Ais people. However where other native Americans fell prey to the tricks of the slave hunters; the hard pressed Ais only saw the Christian slavers from the grey Atlantic as the enemy and vindication of their world view that they were a surrounded people whose task was war for survival. The period of the early slave hunters lasted nearly Seventy years until the French settlement near modern day Jacksonville. The French seeking a foothold in the new world forced the Spanish empire to reconsider the savage Florida coast. The European war of reformation comes to Florida: Competing armies landed in the Timucua areas of north east Florida to fight for the heart and soul of Florida. Treaties were made with the competing nations of the Timucua people however nature sealed the fate of the Huguenots when a hurricane wrecked the French fleet casting the soldiers on remote beaches and allowing the smaller Spanish army to defeat the destitute Frenchmen. Very few of the French soldiers and sailors were spared the sword or noose- a sign on the hanging tree proclaimed "they were executed as heretics not as Frenchmen" The murder of the French army that had surrendered in desperation provoked future reprisals by the French into Spanish Florida. A small remnant of the Huguenot army -those that had refused to surrender fled south into the Ais lands of Cape Canaveral to rebuild their hurricane wrecked fleet and escape the murderous attention of the victorious Spanish. Beach near the Jean Ribault archeological site on Kennedy Space Center. Imagine racing to repair your hurricane damaged ships while the Ais and Spanish marched at you from two directions. Today the archeological site known as the "Jean Rebaut site" lies almost due east of Launch Pad 39B on Kennedy Space Center. Pad 39B saw Apollo and space shuttle launches and is the planned launching site of NASA's future SLS rocket- the most powerful rocket ever developed. However in the distant past on the barren coast of the Ais, a group of Frenchmen raced to cobble together a usable shop from two wrecked ships. To their north the victorious Spanish army marched south towards the cape while the Ais distrustful, debated what to do about the shipwrecked Frenchmen. 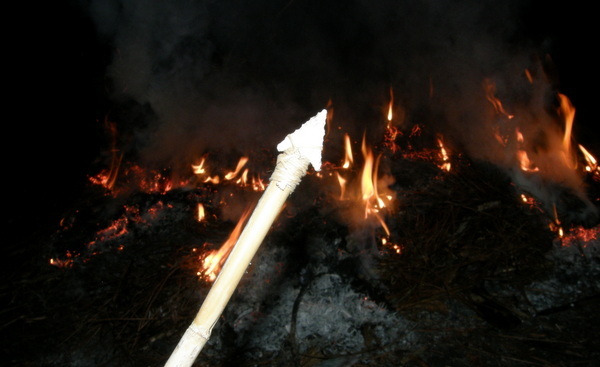 Other castaways had washed up on the Lagoon of the Ais and had been dealt with by fire and arrow. For the Ais this not was their first experience with gunpowder-and there were the legends of Hernando de Soto excursions upon the Timucua enemy; however this was certainly the first experience for the Ais with a large group of soldiers armed with cannon and matchlocks. Like other people around the globe the explosion, fire and smoke of gun powder represented a magical control of lighting. And hesitation enough for the French to complete ship repairs and escape Cape Canaveral before either the arrival of the Spanish or the anger of the Ais. To the victor goes the spoils and so kingdom of Spain remained the sole European occupier of Florida for 235 years. The Spanish tread lightly on the nations of the Timucua establishing treaties and missions with the powerful bowmen of north east Florida. However as all bullies are wont to do; the people of the Rio de Ais were not provided the same respect as their powerful neighbors. 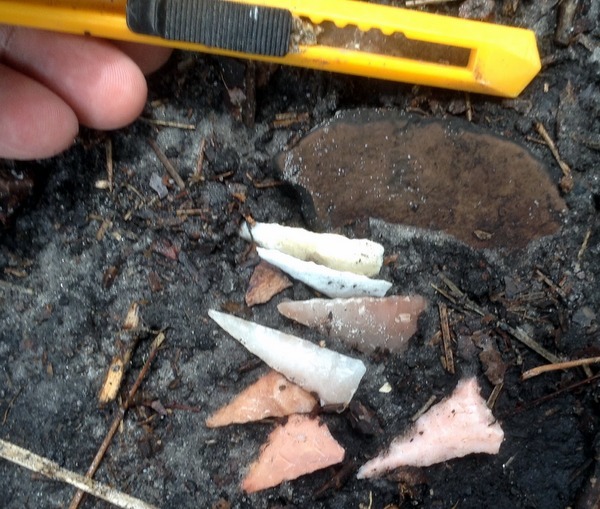 After a minor dispute north of Cape Canaveral the Spanish sent a punitive expedition against the village that today is known as Seminole Rest archeological site on the shore of Mosquito Lagoon; Oak Hill Florida. The punitive expedition put sixty people to the sword in retaliation of the murder of some Spanish soldiers. The Spanish always concerned about the care of their subjects probably punished the correct tribal group-unlike future attacks on native Americans by both English and Americans -where the attack was really genocide with little concern if the particular group of native Americans were actually the guilty or correct tribe to attack. Unfortunately for the Spanish missionaries and future attempts to tame the wild Ais. The punitive expedition only highlighted the need to resist. Future punitive expeditions by Spain, trade or conversion attempts by Franciscans ended in failure or death for both soldier and priests--for the Ais were not to be mollified. Treasure ships continued to wreck upon the Barr de Ais with the treasure collected by the Ais as curiosities andthe shipwrecked put to the knife or fire. The Ais resisted colonization and Christianity attempts and thrived on their brackish lagoon. 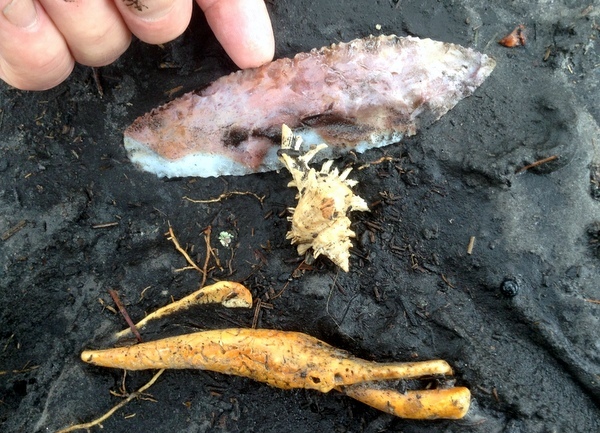 Recovered treasure was placed in the local burial mounds as an oddity with little value. Gold wrapped bird wing flutes being one of the more common burial items discovered on Kennedy Space Center-the flute being the most valuable item. Many gold items were discovered when destroying the shell middens and mounds of Cape Canaveral to fill in the swamp land under Launch Pads 39A & 39B. 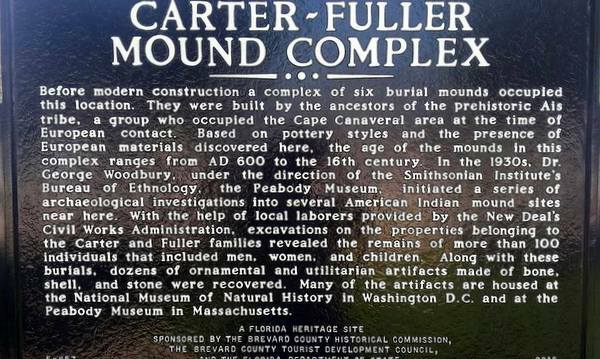 Historical marker in Cape Canaveral Florida, marking an Ais Indian Burial mound complex raided by the Smithsonian. 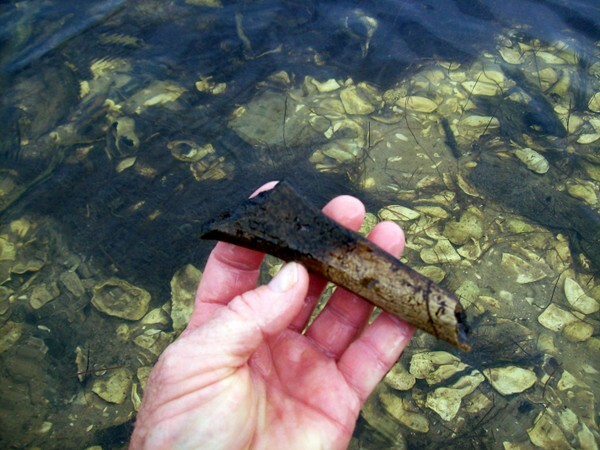 In 1933 & 1946 the Smithsonian institute initiated archeology digs in Brevard County only to find silver from Spanish treasure wrecks in nearly every mound in Brevard. A fascinating book that detailed the Smithsonian findings can be checked out from the Brevard County central library. Of note was the missing item: Gold. Plenty of silver artefacts were discovered. I suspect the gold was pocketed by the hired help-- because gold was found in the mounds of Kennedy Space Center during the space race. 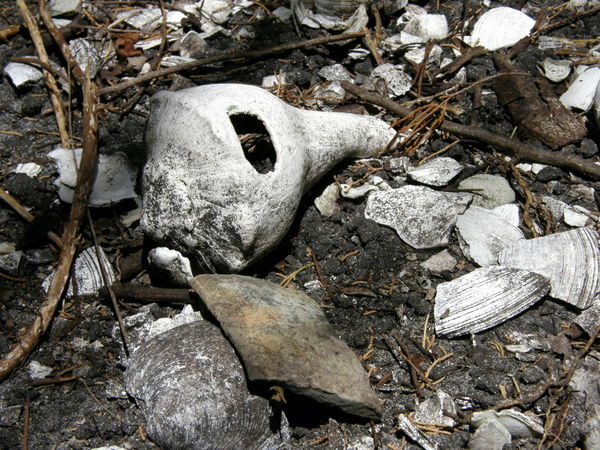 Silver from Spanish treasure ships found in almost every mound. Where was the Gold? I maintain it was pocketed by the locals hired to dig for the scientists. While the Ais fiercely resisted efforts to tame them (bring them under the sway of church and King via Christianity) the Native American super powers to the north and south accepted both Christ and King and the restrictions and disease that came with both. Within fifty years of the establishment of Franciscan missions both the Calusa and the Timucua federations had lost half of their population to European disease. Epidemics raged almost non stop and within another half century nearly 90 percent of the population of these powerful nations were lost to disease. The Franciscans recorded every epidemic, noted with despair the shrinking populations and forced native towns to relocate closer to St. Augustine where the people were further exposed to epidemics. Meanwhile the Ais refusing all attempts at peace offerings thrived on the endless resources of the Indian River Lagoon. Over the nearly two hundred years of hostility to crown and church the Ais took in runaway Timucua and Calusa-people whom the Spanish called Seminoli (runaways). Thru the experience of these runway Christian Indians who also acted as trade emissaries for the tons of gold and silver that had washed ashore in the province of the Ais. The Ais gradually softened their stance on outsiders (the powerful chiefdoms of the Calusa and Timucua archers now only myths) and the fierce Ais eventually signed a truce with Spain via the governor of St. Augustine. Only a few years after signing the treaty and agreement to spare castaways, was the Quaker Jonathon Dickinson wrecked upon the Ais shoreline; and although greatly terrorized, Dickinson and his party were marched and canoed to St. Augustine. Much of what is known about Ais culture comes from the writings of Jonathon Dickinson. Sadly like other Native American cultures, the truce only exposed the Ais to the same epidemics that that devastated their ancient enemies. They were hired to raid Florida for two specific reasons: First the king of Spain had issued a Cedula (proclamation) that all African slaves (owned by the English) would be freed if: they escaped to Florida to serve with the St. Augustine Militia and swore alliance to the crown of Spain. To the Carolina subjects of the British crown that route of freedom for their expensive African slaves had to be seared shut. The other reason for the Florida raids: Native American slaves from the gulf area becoming more difficult to harvest. The slave based plantations of the Caribbean had an insatiable need for slave labor. As the easily captured Native Americans of the southeast became scarce and the French began arming the Chickasaws to the west; attention turned towards the Christian Indians around the Spanish missions of Florida and the plentiful villages of the Ais Lagoon. To make the situation a potential disaster was the fact that the English traded in musket and powder, arming their native allies with modern weapons while the Spanish offered salvation by conversion but prohibited the trade in firearms. Ais blade found on the Space Coast. 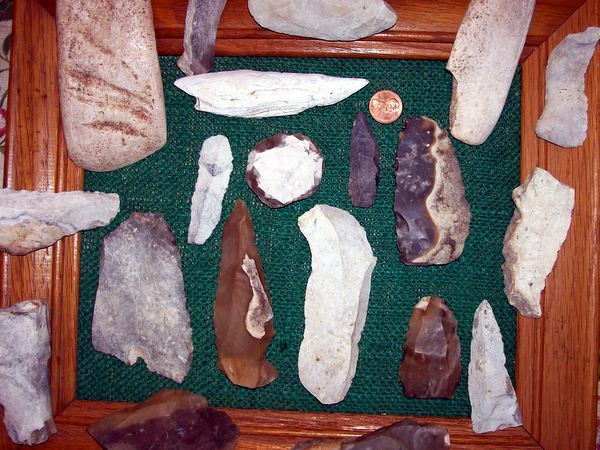 The Ais and other Florida Indians were armed with bone and flint weapons, while the invading Indians from the north possessed gunpowder and muskets. And so around the year 1702 began the Carolina raids into Florida which nearly depopulated the Indians of the peninsula. For the Ais of the Indian River Lagoon and Cape Canaveral now loyal subjects to the Spanish crown and possessing no muskets or powder -there was but one choice: flee south along the old lagoon. Canoes were a way of life for the Ais people and they escaped towards the St. Lucie inlet and returned once the Carolina Indians had retreated north with their new captives. For the Indians of the Spanish missions there was no escape and they disappeared into history by way of the slave plantations of the Caribbean. The slave raids continued into Florida often forcing people to the Florida Keys. Records exist of Spanish merchant ships rescuing wretched groups of Calusa, Tequesta and Tobago from the keys. For the Ais, with each raid they ventured less north to their ancient homeland and their new capital was established away from Cape Canaveral and to the present day area of Sebastian Inlet. The era of raiding Spanish Florida and the border lands south and west of the Carolinas came to an end as easier to obtain slaves from Africa replaced difficult to replace Native American slaves. 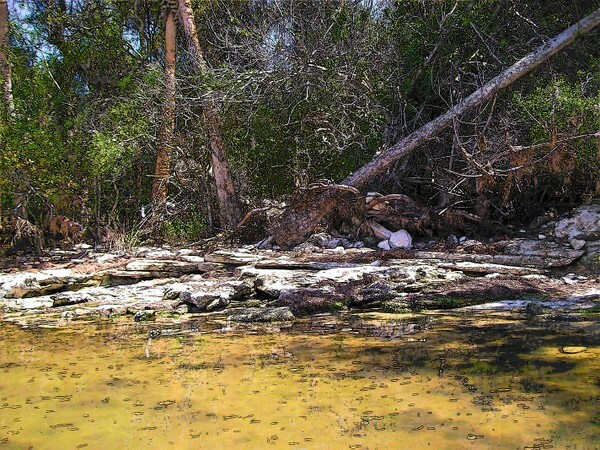 However it could be said, that except for the Ais on the lower lagoon, the remnant Timucua at St. Augustine, some Seminoli Indians practiced in the art of hiding from the Spanish and the Calusa holed up in the Everglades: The Florida Indians were gone. Used up. Of note: the slave raids into Spanish Florida demonstrated to the Native Americans of the south east, that Florida was a fertile and near empty land. Feral Spanish cattle thrived in abundance and various clans and tribal groups of the south east began their generations long migration into Spanish Florida. The Ais slowly filtered back up the Ais lagoon with small settlements returning to Cape Canaveral and Ulumay (Merritt Island) and mixing blood with runaway African slaves and the seminoli Indians who had fled both the Spanish yoke and the slave raids of the Carolina Indians. A new culture in the making birthed from fire of the Spanish attempts to create a Catholic Florida. The era is the Spanish missions system was forever ended in Florida. And the Spanish crown quit the royal policy of restricting fire arms to their (surviving) Native American subjects -creating a three way power struggle between France, Great Britain and Spain of who could purchase the allegiance of the native Americans of eastern North America. In 1715 the largest treasure armada in history sailed from Cuba for Spain at the height of hurricane season. (Poor decision by a king strapped for cash?) Just offshore of east Florida a massive hurricane struck this armada known as the Plate fleet. The hurricane drove the heavy laden ships onto the reefs of the Florida east coast spread out for nearly the length of the Indian River Lagoon and at daylight on the morning after the disaster nearly 1100 survivors; citizens of the Spanish empire stood upon the barren beaches of hurricane ravaged Florida. 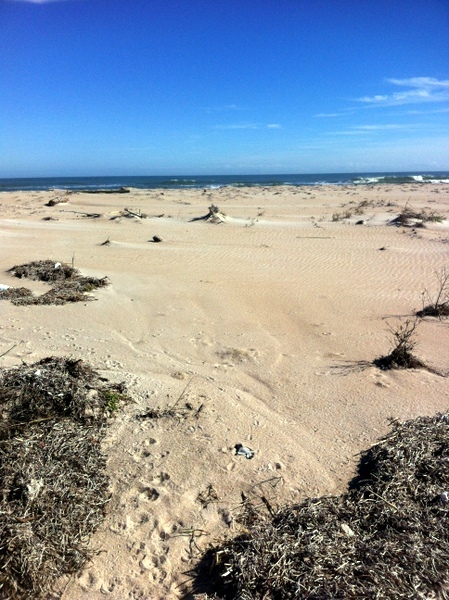 Treasure recovery efforts were organized at the "The Big Town of Ais" near present day Sebastian Inlet. The Ais played a major role in recovery of the treasure by serving as salvage divers and the gold and silver plate was quickly stacked in front of the Ais town in ever growing heaps. The Ais once the bane of any castaway helped to prevent a humanitarian disaster by providing fish for the 1100 desperate survivors from the bountiful Ais Lagoon. The next sixty years saw new native Americans powers arise in Florida as the Spanish invited former Native American enemies to migrate to Florida as a buffer to the growing English colonies. The 1740's saw two British attempts to capture the powerful star fortress at St. Augustine-the attempts failed however the invasions reminiscent of earlier invasions caused further migrations into the river lands of the Laguna de Ais and Timucua refugees added their blood to the new Ais fishing culture. In 1763 Spain lost Florida to Great Britain by treaty. Many of the surviving Ais and Timucua moved to Cuba with the Spanish settlers and ranchers of old Florida. For the Ais who remained to fish the Ais River little changed except the incoming English did not recognize any specific Native American tribal identity for the mixed race fishermen who lived upon the Indian River Lagoon. 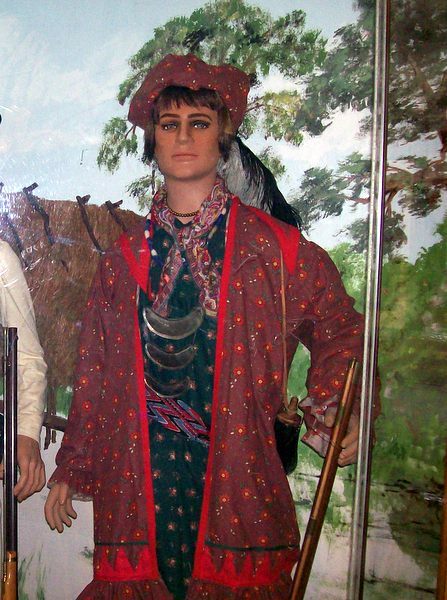 The remnants of the Ais tribal units were fisherman who traded freely with the Cubans and so they were generally called "Spanish Indians" as opposed to the cattle based new Florida Indians like the Yamasee, Seminole and Creek confederations. 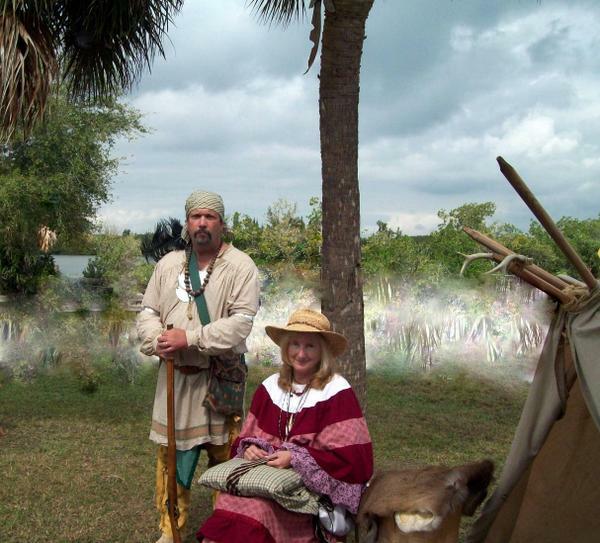 Seminole Indian costume reproduction at Fort Christmas Florida. For the Ais Indians, the Seminoles were northern invaders--enemies. Consequently the 150 mile long lagoon was christened the "Indian River" of east Florida. The name Ais almost disappearing from any English based history. The fierce Jeega and Ais Indians written about by the castaway Jonathan Dickinson were gone, transformed into peaceful fishing clans. During the brief English period of Florida, two English plantations were attempted near the newly named Indian River, one a few miles from Cape Canaveral on the Shiloh ridge using African slave labor and another plantation north of the cape at New Smyrna using indentured servants from areas of the Mediterranean. Turnbull Creek on the Indian River gets it's name from the Turnbull plantation at New Smyrna north of Cape Canaveral. Both plantations eventually failed however refugees from these plantations added new blood to the Ais people-African slaves and indentured servants from the Mediterranean island of Minorca. Early in the New Smyrna the experiment, Andrew Turnbull penned letters of complaints about his Italians absconding to the game-rich Indian River. During the American war of independence from Great Britain; Spain entered the conflict on the American side with Gálvez capturing the English fortress at Pensacola. At the end of the conflict, per treaty Florida was ceded back to Spain with assurances that British subjects could retain their property rights. With the return of Spanish rule to Florida, Calusa returned to their ancient lands in south Florida and as well did the Ais from Cuba many of whom had married into families of Spanish-Cubans or other native Americans who had fled Protestant English Florida. 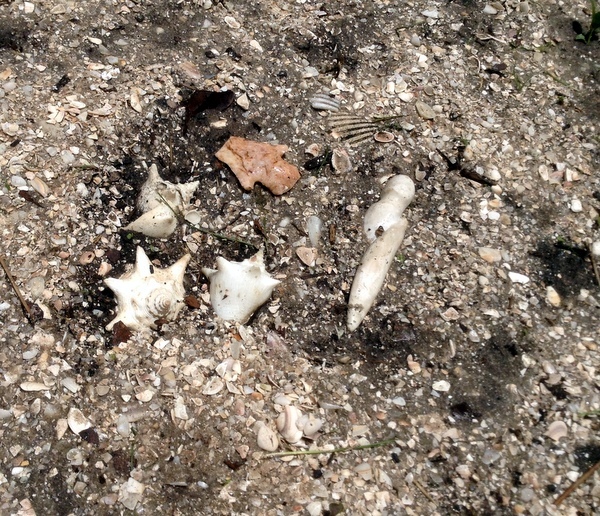 The lure of endless fish from the Indian River Lagoon was a better option than the squalid ghettos of Cuba and the retuning Cuban-Ais mingled with the families of Greeks, Italians and Minorcans from the Turnbull plantation who now occupied the old oyster-shell middens of the empty Ais towns. By the time of the sale of Florida to the Americans and the Seminole wars; the fishermen of the Indian River retained only vague stories of their Ais grandparents & taking little or no interest in the American war of relocation waged upon the new native Americans of Florida. -Perhaps even recalling that 130 years earlier the various tribes and clans that the English called "Creek Indians" were the same enemy that had raided Spanish Florida and had marched so many native Floridians north to be sold at Charles Town. Final note: The Ais connection and the moon landings. With the federal government confiscation of large sections of Cape Canaveral and Merritt Island; construction was begun on two giant launch pads for the Apollo program. 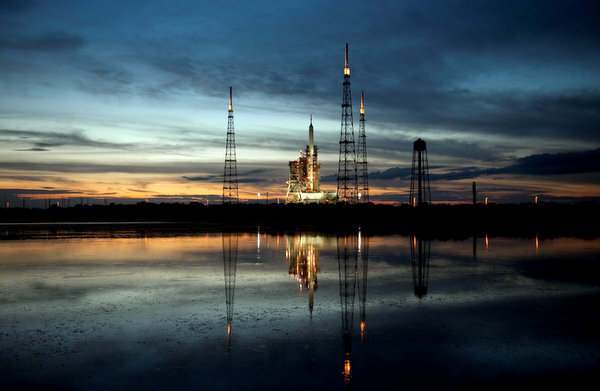 Launch Pads 39A & 39B were constructed adjacent to the Atlantic Ocean in the Ais heartland. To fill in the miles of swampland for this monumental project, 5000 years of Ais oyster shell middens were bulldozed into wetlands and swamps along with fill dredged from the bottom of the Ais Lagoon. Man's first steps on the moon were literally launched from the shell middens of the fierce Ais native Americans.